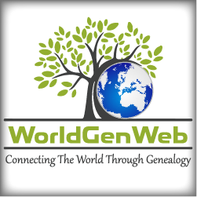 The Austrian Genealogy pages are maintained by Charles Wardell (resident of Austria) as a contribution to the WorldGenWeb project. It is not a professional research or lookup service. Queries may be submitted free of charge to the Austria Mailing List or the the appropriate Message Board. The first step though is to understand which country (according to today's borders) your ancestors came from. Borders have changed and they continue to change. The main purpose is to give non-residents some general information about genealogical research in Austria and to maintain a list of useful links. Please visit the links (a new instance of your browser will be opened) -- and don't forget to bookmark this page ! Info gives you some general information about genealogy in Austria, including tips about geography, maps, history, archives, libraries, etc. Links will show you some useful links, sorted by category. Search helps you make targeted searches and guides you through the process of posting queries. Contact allows you to send some feedback, suggestions and comments about this site. The first step though is to decide which country you should be researching.